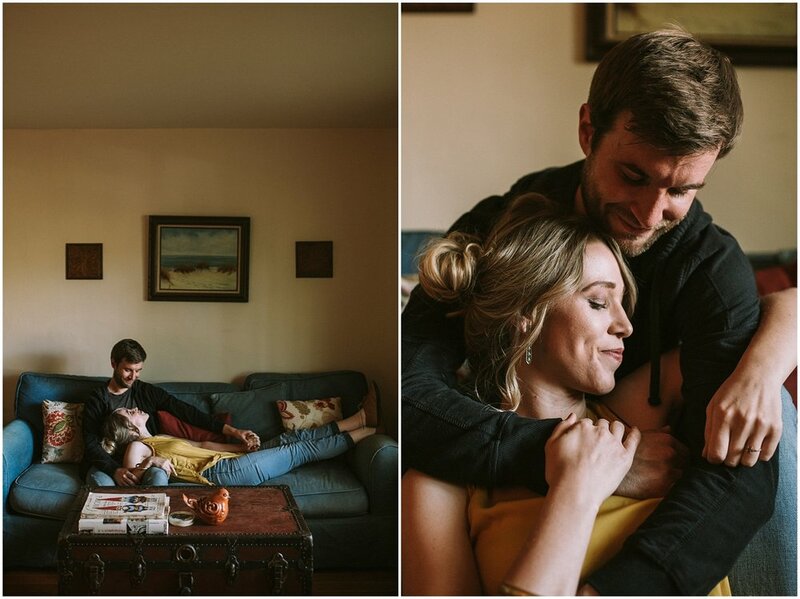 Courtney and Jesse invited us to their home in LA to shoot their engagement session. It was a wonderful idea and one of my favorite things to do. To be able to capture a couples true love in their own environment brings real emotion and even an bit of relaxation to the session. We chatted and hung out in their apartment and Pawel played with Eleanor. (Eleanor is their cat. I swear Pawel is like some crazy cat whisper!) After hanging out in their apartment we took a little walk around the neighborhood. It was so pretty! I was in love with this tree at the top of some awesome stairs. Jesse laughed at my excitement and then thanked me, he said he was looking at his neighborhood in a whole new light. To end our session Courtney and Jesse took us to one of their favorite hiking spots. Oh my gosh was it worth it! The views were incredible! The rains had made everything bloom and the yellow flowers were everywhere. We had more than an amazing time with Jesse and Courtney, we had an amazing experience.